If you are new to us there is no need to Register for now. Please place your order and your Sign In details will be generated and sent to you. 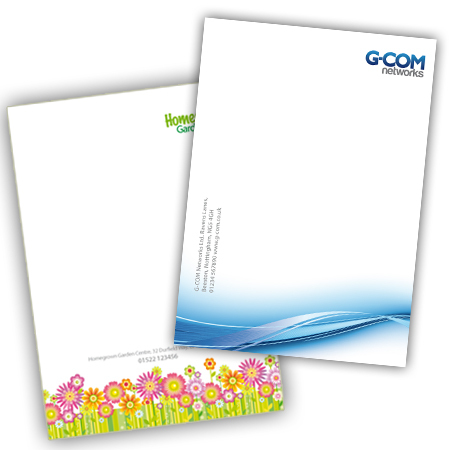 Our Deskpads consist of 50 sheets of 120gm Executive Paper printed in One Colour, Two Colours or Full Colour on one side and bound on either the long or short edge to a 1.2mm grey backing board. What is the size of your Deskpad? What binding position do you require? Would you like Optional Extras? Your order despatched (or ready to collect) in 6 working days. Day of order included if order placed and correct artwork received before 10:00am. Silk and Matt coated stocks are sealer varnished and are not suitable for over printing.